Did you ever got confused about how to pass stock market entries in Tally as trading? If your answer is YES, then this video is surely for you. In this video, I have tried to clear all your doubts for creating stock market entries in Tally as a trader. Share the video if you like it or find it useful. If you are an investor and NOT a trader in Stock Market, then look at this post in which I have explained Stock market Entries in Tally as an investment. 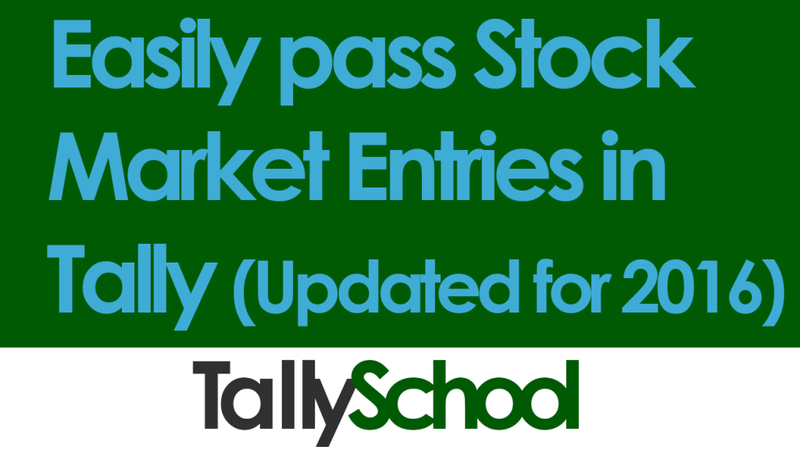 Stock market entries are one of the basic entries in Tally and if you know the basics of Tally well, you can easily pass these entries. In this video I have explained entries for stock market as trading in Tally. What it means? Well, it means that you are trading in stock markets and NOT investing. In simple words, your main business is stock trading like any other business and you earn your major part of income from stock trading. You do NOT invest your money in stocks and sit for long time. That is called investment. Instead you trade in stocks on a regular basis and earn (or loose money 🙁 ) from trading. Entire video is based on Stock Trading and NOT investing. If it is an investment in stocks, the effect will NOT be reflected in Profit and Loss account. Rather it will be reflected in just the Balance Sheet and Stock Summary. I will create 6 Ledgers and a Stock Item in this video. I’ve listed and explained everything in the post below. From Gateway of Tally, select Accounts Info. Create ledger as I have explained below in each ledger. Here you can have detailed understanding of creating ledgers in Tally. Stock Broker under Sundry Creditors (You can also create it under Sundry Debtors). 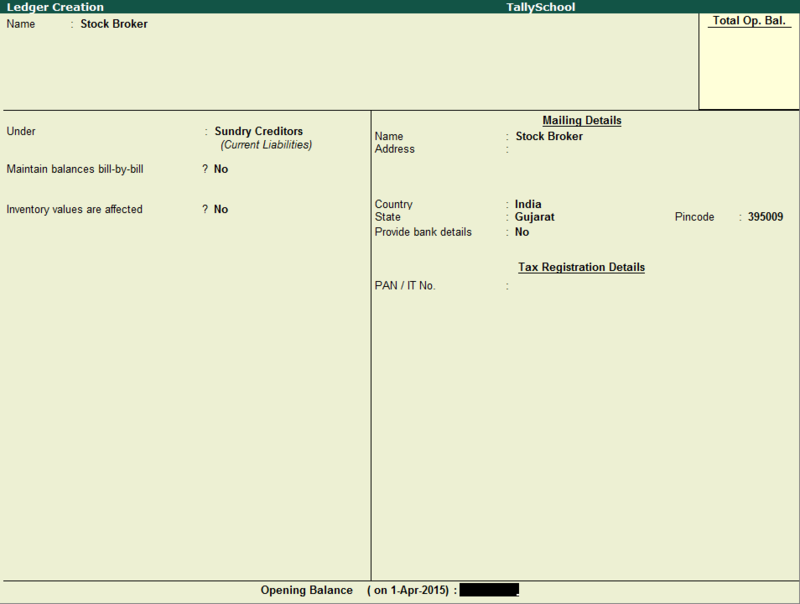 Create Stock Broker Ledger with the below configurations as shown in the picture. Let’s say, you have purchased Reliance shares and your total bill including brokerage and other expenses is of ₹10,000. It means you have to pay your broker ₹10,000. That means for YOU, Stock Broker is currently your Creditor because you have to pay him for the shares that it has purchased on behalf of you. Now, let’s say, you sold Reliance shares for ₹15,000 which you have bought in the above transaction. That means for you, the same Stock Broker is now your Debtor for ₹15,000 because Stock Broker has to pay money to you for selling the Reliance Shares for ₹15,000. As there are hundreds of transactions through out the year, the situation of your Stock Broker as a Creditor or a Debtor constantly changes in your accounts. Therefore, at the time of creating Stock Broker ledger, it does not matter whether you create it under Sundry Creditor or Sundry Debtor. At the end of the year, when you are closing your books, you can check out your Balance Sheet and see what is the position of your Stock Broker. Whether you have to pay money to your Stock Broker or vice versa you can easily alter the ledger to Sundry Creditor or Sundry Debtor. Create Share Purchases ledger with below configurations as shown in the picture. Make sure you have set Inventory Values are affected to YES because we will be entering Stock Items while creating journal entry for purchasing shares. 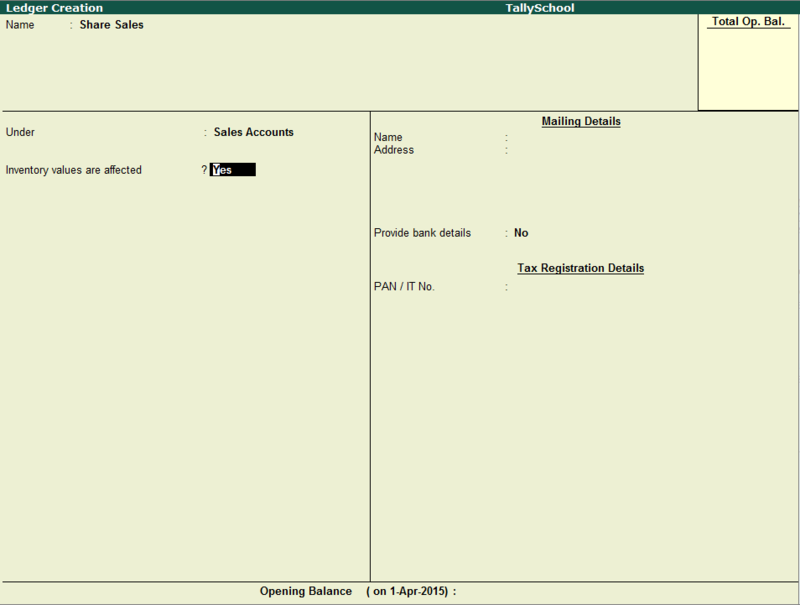 Create Share Sales Ledger with below configurations as shown in the picture. Again, make sure you have set Inventory Values are affected to YES because we will be entering Stock Items while creating journal entry for selling shares. Create Share Brokerage Ledger with below configurations as shown in the picture. Share Brokerage Ledger will be used for recording share brokerage which you have to pay to your Stock Broker. We have created a different ledger because we can record brokerage expenses separately. On the other hand, you can also record share brokerage in the Stock Broker ledger. 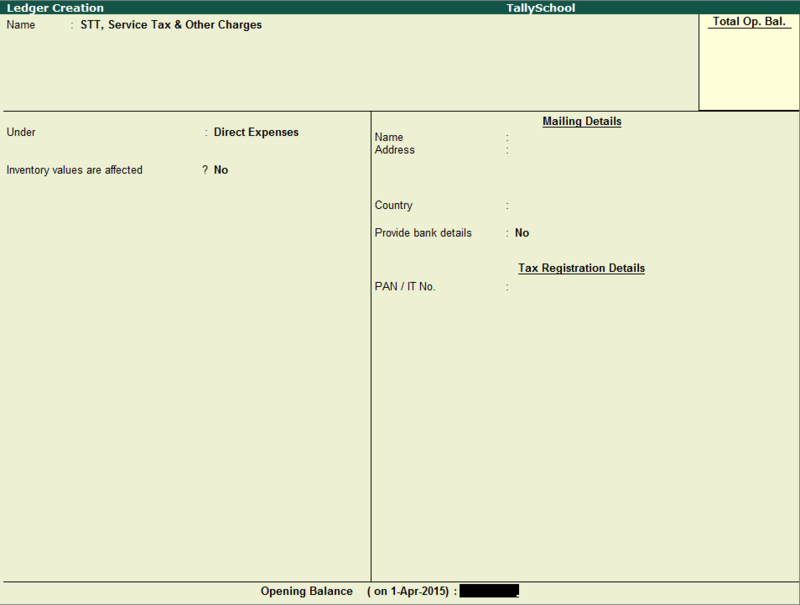 Create STT, Service Tax & Other Charges Ledger with below configurations as shown in the picture. If you are NOT a Service Provider, skip this section and move ahead directly to “Stock Item in Tally”. If you are a Service Provider, you can take credit of service tax paid on stock market transactions. For that you have to record service tax separately in a new ledger named Service Tax because you are paying service tax. With the help of a separate ledger for service tax, you do not have to count the entire service tax credit because it will automatically be calculated by Tally at the end of the year. Whenever you create an entry you will enter service tax amount in different ledger called Service Tax so at the end of the year, the amount is already calculated. But, first you have to Enable Service Tax feature in Tally to use it. Now, press CRTL+A to save everything. Now come back to the Ledger Creation Menu once again for creating Service Tax Ledger. 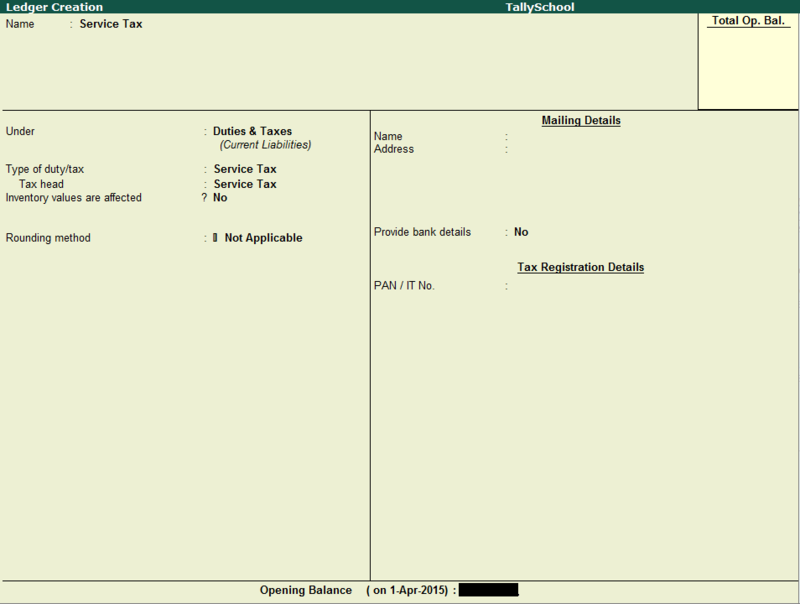 Create Service Tax Ledger with below configurations as shown in the picture. Now that you have created Service Tax ledger as you are a Service Provider, one more thing is remaining before we can create stock market entry in Tally is the Stock Item. You have to create a Stock Item in Inventory Info. for every unique scrip or stock you want to enter. For example, in this video, I have bought shares of Reliance therefore I will create Stock Item named Reliance. Creating a Stock Item in Tally. To create a stock item in Tally you will need to follow this simple process. When you come to Units, press ALT+C to create unit. Units for Stocks are numbers so we will create no. for short. Now, press CTRL+A to save the unit. Now again press CTRL+A to save the Stock Item for Reliance. Now if you watch the video you will fully understand the process with much more clarity and ease of concepts. I have created the entry in the video so go ahead and watch the video to see the Final Entry. But still if you have any questions or doubts, feel free to comment below and I will answer each and every doubt you have. I have a doubt something related to this video. Traders who are trading in derivatives or day trading in equity treating the values little different. And they don’t make scrip wise entries, one entry a day irrespective of how many scrip they trade. For eg: Buying 10 shares of Reliance @ 1000 and selling them @ 1001, resulting Rs. 10/- profit. Here the entry doesn’t include the price of buy or sell, just the difference. Note: They don’t pay Rs. 1000 when buying, just around 10%-20% of it’s total value. So we can’t take the whole contract value as purchase/sale value. Here is my doubt. Without a clear purchase/sale value, how could one prepare trading account (in final accounts). These numbers are also has to be entered under the head Sale/Purchase in ITR4 (P/L account). The entry you said is correct and can be passed in case of intraday trading or derivatives trading as you said. Your doubt is very familiar and the solution would be to pass the whole purchases and sales entries so that you get the total purchases and sales amounts. But if you want to pass entries without including sales and purchases amounts then I would suggest you note down the daily purchases and sales amounts therefore at the time of preparation of returns (ITR4) you have the total amount. 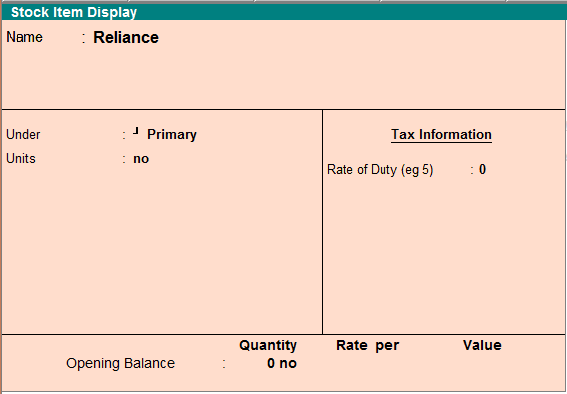 If that’s the total sales value to put in ITR4 under “revenue”, then almost every trader will be liable to tax audit. For your query there are two scenarios. 1. For delivery based trading the total sales value should be taken for consideration in audit. 2. For non-delivery based trading the difference between sales and purchases should be taken for consideration in audit. I put the turnover value as revenue. But what could be the figure for “purchases”? Purchases figure would be simply the securities that you have purchased in any case whether it is delivery based or non-delivery based. But still it’s not clear. For eg: Person A’s derivatives turnover is 1 Lakh (i.e., sum of profit + Sum of loss), but the total contract value is 10 crores. If I put these values in ITR, resulting figure would be loss of 9.99 crores which has to be carried forward to balance sheet in Person A’s a/c. I assume that derivatives about which you are talking are non-delivery based transactions. Therefore in ITR the value you have to enter in case of turnover would be 1 lakh as it is the difference between sales and purchases. Dont we have to use Purcase and Sales or Payment Receipt voucer instead of Journal?? I am also a CA student kindly send me your contact info for more queries. You can also use purchase and sales ledgers alternatively instead of using journal. But I prefer not to use payment and receipt because there is no option to enter stocks in payment and receipt vouchers. I am preparing a video tutorial currently about stock market as investment and will be posting soon. In previous year, my partner make the entry of share stock entries as a Investments,,so there is a big mistake coz return is also filed. So i want to ask how to put that amount as a opening in current year? You can see the new video tutorial about Stock Market Entries as an Investment. If you have already entered the entries for shares bought last year, you do not have to enter opening balances again. It will appear automatically when you switch to new year. I Purchased 10 xyz Shares @ Rs. 50/- dated 03/04/2015,- 500 Rs. & Sold 10 same Shares @ Rs. 60/- dated 23/07/2015,- 600 Rs. So, My Short Term Share Profit is 100 Rs. XYZ Shares account will get debited in this case. You will have to create a ledger named XYZ Shares under Investment in Shares which is under Investments. Then, Xyz Share Account will not stay as a Balance under Group Share Invenstment in Balance Sheet? You bought 10 shares of XYZ and sold 10 of XYZ so there will be no shares with you and therefore it should be reflected in your balance sheet also. I have started doing business in F&O Segment particularly, Now my question say for e.g. on 1/7/15 i have bought 100 futures of NIFTY @ 8500, and for this my broker have dr. me say 10% margin i.e. 85000/- (100*8500*10%), Now if i hold this for the next 15 days every day my broker will pass entries for MTM(Mark to Market) Margin, and say on 15th i square off my position on 8550 then my profit in this case will be 5000(50*100) now for the month if i incur few profit & loss in various transactions like this for e.g. So in all i have a total turnover of 22500 whereas my Nett P&L will be +7500. You can pass the entry in the following way, Rachit. You can simply follow and pass the same entries for all the transactions and at the end you will get profit of +7,500. The concept is same as Futures. The only thing different is when you write an option you have to consider it as sales. The stock will go negative. Then, when you square off the position, the stock will automatically be zero! intraday & future entry in tally.. turnover 1 crore n loss 50000, now what to do in tally? Any problem arise regarding turnover? is it necessary to show turnover in P&L or BSheet? You have to pass entries same as stock market. Yes, you have to show turnover in Profit and Loss Account which ultimately shows up in Balance Sheet. There are no restrictions to government officials for trading in futures, but you can check your agreement and be confirmed. Turnover in simple language is how much you traded. I cannot tell you the ITR based on just this detail. i have a dmat account with icici and recently i have opened a dmat account with birla portfolio services. I havw transferred some shares from icici to birla portfolio services and birla portfolio services have sold some shares. can u tell me as to what entries i have to pass when the shares have been transferred from icici to birla as in icici they are no holdings of that particular. eg Say in icici i have some shares of a company whose buy value was rs 1000. this shares are transferred to birla portfolio and they have sold at rs 2000 and in birla portfolio they have taken buy price as rs 1400 (date on which the shares got transferred) so as per birla profit is rs 400 while actual profit for me is rs 1000. You can pass a journal entry for transfer of shares from ICICI to Birla! Now pass simple entry for sale of shares as I have explained. It cant be termed as profit as de have nt been sold only trf from one acc to oder. My understanding is that Intraday transaction shouldn’t impact your cost basis for a stock. For instance, if I hold Shares of X company @ 100 as of jan 1st and later in June if I transact Intraday. The cost basis should remain at 100. However, most reports provided by brokers use the FIFO logic and the cost basis show at an incorrect rate adjusting for intraday and not at 100. Does tally have a solution to this problem? The thing is as per Income Tax Act, 1961 FIFO method is preferred. Therefore brokers will issue reports in FIFO. What you are talking about is stock valuation method. In Tally, there is an option for valuing stock at last purchase cost. That will take into account cost of sales as last purchase cost and so in intraday trading, your profit will show on the basis of last purchased cost which will be your intraday purchase. i want to book a bill in tally…actually i had pass the entry in purchase voucher .is it correct..or what will be the entry if it is incorrect. It is totally correct if you had passed a purchase entry for your bill. I trade from 2 demat acc. In that case can I do entries in single acc under tally. You can do it under single account in Tally but that would mix up things. I suggest you create it under two different ledgers. I have a doubt. Though I am not daily trader, I am purchasing some stock for couple of months in which i may have short term capital gain and there are few shares I am keeping for long term. Sometimes I even sell it intraday if i feel mkt is uncertain. In this case should I need to do entry as per your investment video procedure or should I need to follow your trading video guideline? In your case, you need to pass both the entries on the basis of whether it is long term or short term or intraday. My broker is not giving books suitable for entries. I do not know anyone in Chennai. You can easily see in and out of RCOM in Stock Summary in very detailed way. You can also see the profit by FIFO and other methods. For bonus shares, there is a feature in Tally called Zero Valued Entries. Enable that and use it for bonus shares. The entry for rights issue is same as for normal entry because you are still paying an amount in the form of rights fee. You can pass the buyback entry in the same way as selling the shares. In this case, it will be the company instead of a seller. And, if you are the company, the entry will be same as purchasing the shares. I am preparing whole GST Series on Tally. I am a retired government servant. Over a period of time, I have accumulated shares portfolio. As I am retired from services now, I do transact in shares very frequently. I have long term, short term and once in a blue moon intra day profit as well. 1. Live Stock of shares at any given point of time. 3. Bifurcation of short term, long term and speculation profit at the end of each FY for taxation purpose. Could not understood what procedure to be followed. Kindly share same in detail. Hello Umesh Sir. Please don’t call me sir as you have retired and I have not yet started my life. You can have all of what you asked if you post the accounting entries in shares as investment. Then, please have a look at the post in which I have explained to calculate capital gains in Tally. How to enter value of Demerged shares in Tally 9.? Entry in tally was Sintex Industries Dr Rs. 5000/- & Cr Bank with same amounts. Now got 50 shares of Sintex Plastic and value of both the shares got changed. The entry will be as under. For stock split, you need to pass a journal entry like this. Let’s say the stock is Reliance and the rate is Rs.1,000 and now it is split into two and the rate is Rs.500 per share because that is what generally happens. To the continuation of the above question, if we maintain shares has inventory, how to pass a entry for shares split. I have made a video on this. how are we suppose to calculate brokerage or stt and other charges on each transaction?? do we have to calculate it manually or are we suppose to assume it roughly? if we assume it roughly there is going to be some amount without head! i am ask from both for trader and as an investor? You do not have to calculate brokerage, STT and other charges. Tally will automatically calculate it for you. When you are passing the entry, just fill in all the other details and enter th brokerage, STT and other charges at the end of the entry and tally will automatically show you the remaining about. I had one more doubt that why are we not creating the stock broker ledger under bank account like what would be the problems that i would face ?? Broker is not your bank. You put the money with the broker so you can buy shares. Till the time you buy the shares, your money is with the broker so it is considered that you have given money to your broker. In bank, the money is ours and we can take it out anytime. In case of a broker, the money is ours but we cannot take it out anytime. Broker has give a cheque in your name to return the money. Therefore, broker can be either a debtor or a creditor. You can also put the broker as loans and advances but that would be confusing for many people.